WASHINGTON -- Vice President Joe Biden has announced that his son, Beau, has died of brain cancer. 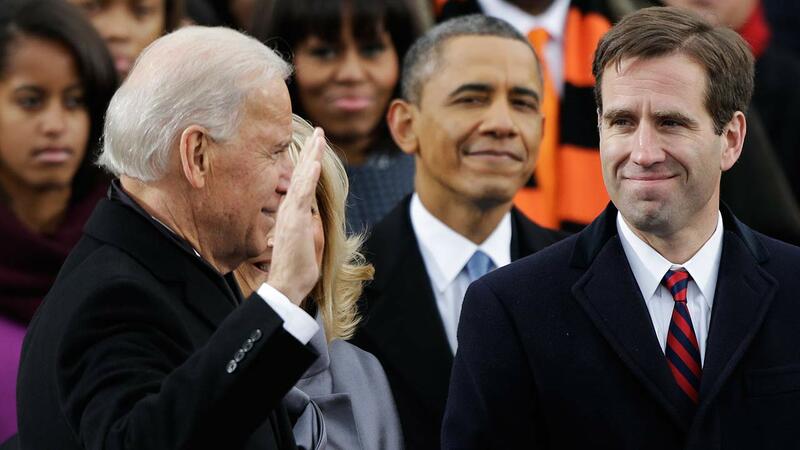 Beau Biden was hospitalized earlier this month at Walter Reed National Military Medical Center. At the time the vice president's office declined to say why he was being treated. Beau Biden suffered a mild stroke in 2010 and underwent surgery at a Texas cancer center in 2013 to remove what was described as a small lesion. The entire Biden family is saddened beyond words. We know that Beau's spirit will live on in all of us-especially through his brave wife, Hallie, and two remarkable children, Natalie and Hunter. Beau's life was defined by service to others. As a young lawyer, he worked to establish the rule of law in war-torn Kosovo. A major in the Delaware National Guard, he was an Iraq War veteran and was awarded the Bronze Star. As Delaware's Attorney General, he fought for the powerless and made it his mission to protect children from abuse.